Even if one is not a fan of Elvis Presley, there are many reasons to visit Graceland. 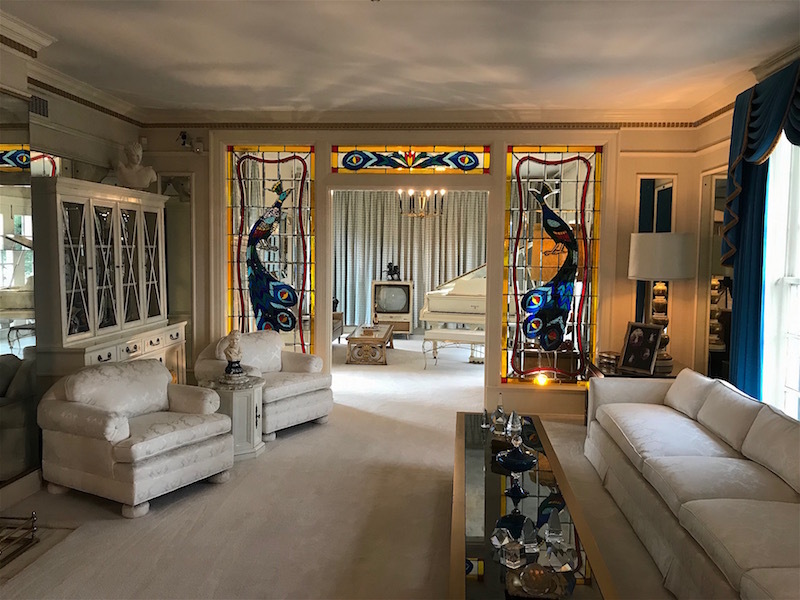 For one, the mansion itself is a perfect time capsule that goes beyond capturing a specific man’s life and times (specifically, the 1960s and early 70s). 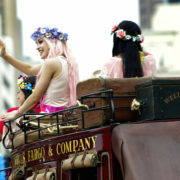 It also happens to touch upon the many ways Elvis influenced popular culture beyond his music. As the world has changed since the estate opened to the public as a museum in 1982, the global pop cultural pilgrimage site is bound to elicit a variety of reactions 40 years after his passing. The house is smaller than some people may have imagined. While some interiors are as over the top as you would expect them to be (the Jungle Room, the basement entertaining areas), others, such as the dining room, seem fairly sedate. When sizing his life up through his belongings on display, there was no question Elvis was complex, but endlessly creative and genuinely loved his family and friends. 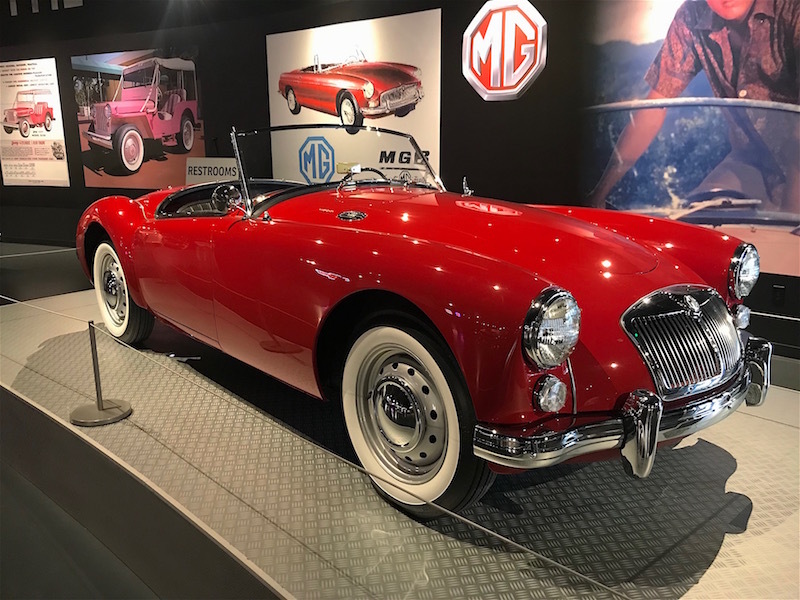 Because there is physically and psychologically more to the man, it was perhaps inevitable a larger, well-organized museum and entertainment complex was in order. 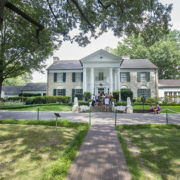 In 2017, the Graceland expansion continued the Elvis experience in a way which will more than satisfy diehards while keeping more casual pop culture fans engaged with separate rooms focused on his autos and vehicles, trophies, work in films (the trailers viewed in chronological order are fascinating), and many late career over-the-top jumpsuits as well as stage costumes worn by other artists that show his influence on their performance style. 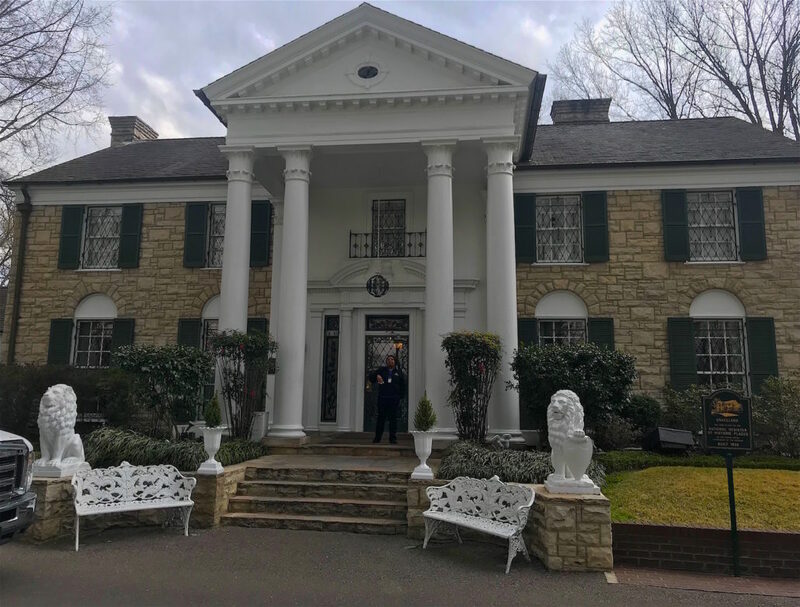 The Guest House at Graceland, also opened in 2017, provides a satisfying AAA-rated Four Diamond resort extension of a Graceland visit. 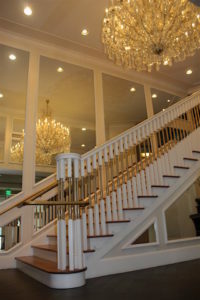 A few parts of Graceland are recreated within the hotel, including the main stairway, complete with a chandelier purchased for the home that did not actually fit the space. 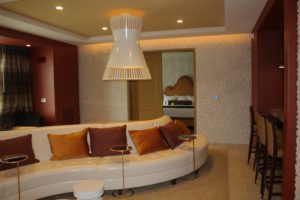 However, aside from presidential-level suites lavished with late 60s flash, most of the private and public areas are remarkably tasteful, hinting at Elvis’ love for luxury without screaming it. 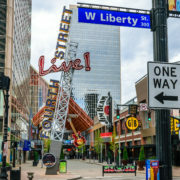 Other fun touches include a nightly complimentary peanut butter sandwich bar as well as a full-size theater where one of the King’s movies is screened on nights when it is not in use for a corporate function. Families who collectively love Elvis will want to look into the second annual Graceland Performing Arts Camp, a special vacation package with two sessions in July. The four-day camp provides young performers theater, singing and dancing classes taught by local and Broadway performers at the Graceland Soundstage and on stage at the Guesthouse at Graceland Theater. At the end of the week, campers showcase their new skills in a live performance. 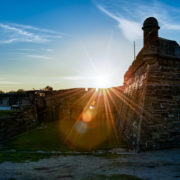 Each budding performer will also have an opportunity to follow in Elvis’ hallowed footsteps through a special mansion visit and activities throughout the complex. During daytime hours, parents can relax at the hotel pool, take in Graceland Archives presentations, enjoy the grounds’ attractions or take advantage of excursions into Memphis while their campers are hard at work. The first session (July 10–14) is designed for teens aged 13–17 while the second (July 17–21) is open to kids ages 6–16. 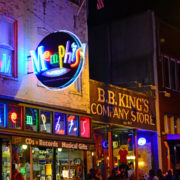 Other package perks include meals for all room occupants, and an exclusive opening party at Elvis Presley’s Memphis Restaurant in the entertainment complex.